At the creation of your repository, prismic.io will ask you which master language you want to use for your repository. The master language will be the default language for your API requests and will be the base for all the translations into other languages. 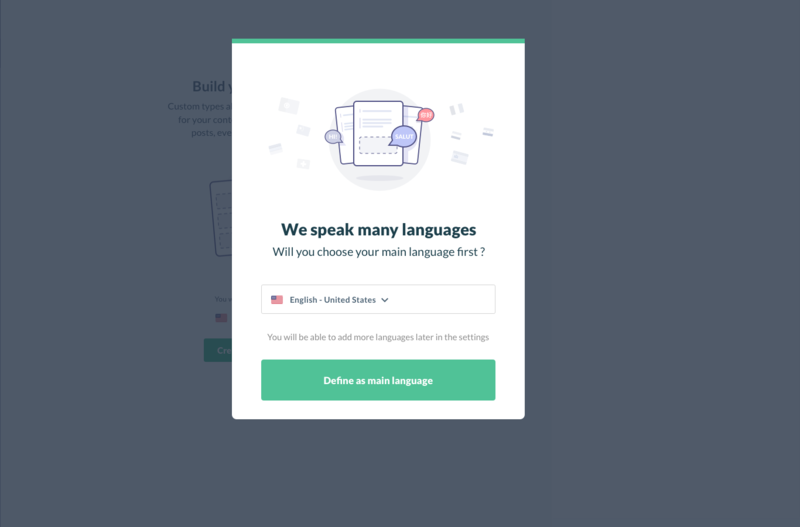 Once your master language is defined, you can add as many languages/locales as you need. Go to Settings / Multi-languages. Here you can click on "Add new language," select the language(s) you wish to add, and click the "Add" button. Once this is done, any added languages will be available in your content view and in the language dropdown when editing a document.